I have the distinct pleasure this year, several times, to talk to many individuals contemplating becoming an Ombudsperson. Some were offered a volunteer position of some sort in elder care, others recognize they have played a similar role consistently in their previous or current job; and still others are simply curious. 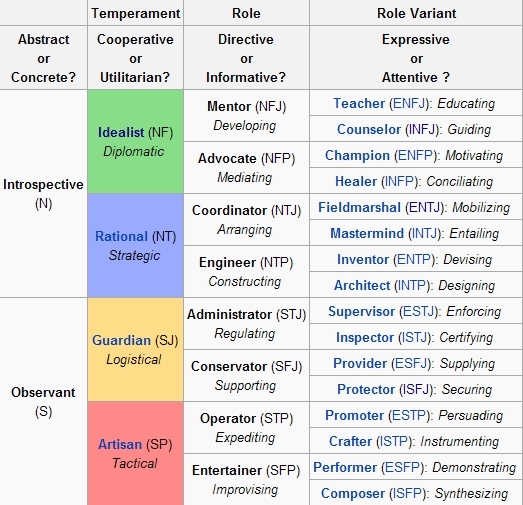 To help evaluate this personal decision you may want to consider taking the Meyers-Briggs Type Indicator or MBTI to determine if your innate personality characteristics are suited to the profession. This is but one step to help come to a decision; and could assist with guidance towards any type of career consideration. I bring this into the equation because in my “other practice” in 2009 I had bid a project and then was asked to take the MBTI online and submit the results for purposes of “team makeup” they said, which I did. I’d also taken this, as many of you also probably have, as an undergrad in college where requirements to be a “lab rat” to graduate were also required. What I noticed is that in the approximate 30 year time span from my original MBTI and the 2009 “test”, I’d kept consistent with my “assigned category” from then to now, which can be good or bad depending on how one wants to look at it. And if you’ve stayed with me this far, nope, didn’t win that bid, but rediscovered “why” I took the degree program I did 30 years ago and “why” I continue to be what I am today. I hope this helps everyone select a potential new career for 2011 that is in alignment with your “core” disposition; or confirm your present career choice. Oh, and in case you are wondering… INFJ. This entry was posted on Thursday, October 28th, 2010 at 5:06 PM and is filed under Employment, Ombudsman Profession, Philosophy / Psychology. You can follow any responses to this entry through the RSS 2.0 feed. You can leave a response, or trackback from your own site.